Ankara: Turkish President Recep Tayyip Erodgan said that Turkey is hopeful to have better and Stronger Relations with Pakistan due to newly elected Prime Minister Imran Khan. 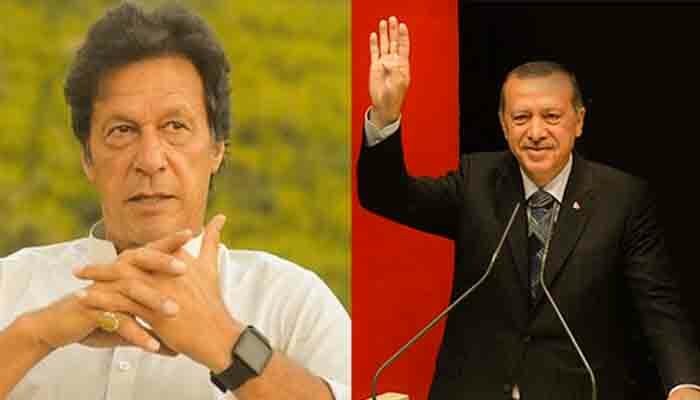 Turkish President Recep Tayyip Erdogan wrote a letter to Prime Minister Imran Khan in which he congratulated him deeply for becoming Prime Minister of Pakistan. Tayyip Erdogan further wrote in his letter that he pray for the Success for Pakistan's Prime Minister Imran Khan and Allah will help him in his work. The Turkish President wrote that Turkey is grateful for the cooperation by Pakistan in Turkey's economic crisis, hoping that Pak-Turkish relations will be better in the time of Imran Khan. He desired for better health of Imran Khan as well as for the Whole Pakistani Nation. Source: This Article was published by Daily Pakistan.